So reads the opening line of a discussion page for the #MeToo campaign in China, posted on the Chinese social media platform Weibo. 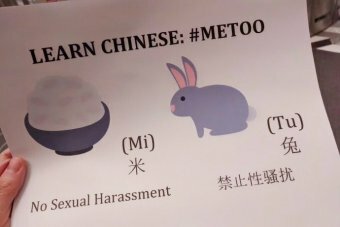 “Rice bunny” (米兔), pronounced as “mi tu”, is a nickname given to the #MeToo campaign by Chinese social media users. 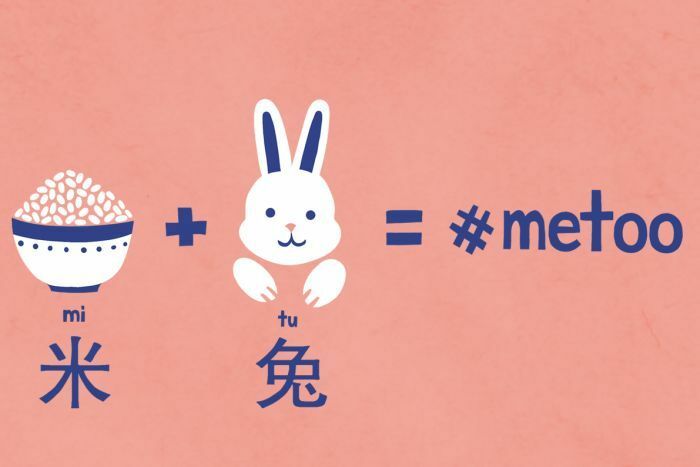 The #RiceBunny hashtag, accompanied by emojis of rice bowls and bunny heads, is used by Chinese women to expose sexual harassment — often in conjunction with other Chinese hashtags, such as #IAmAlso (#我也是）and #MeTooInChina (#MeToo在中国). The adoption of nicknames and emojis is not just a public relations strategy designed to increase the popularity of the campaign, it also serves as a tactical response to circumvent online censorship. Similar practices of using homophones and images are widely used in China as a form of coded language to avoid censorship on social media. “River crab” and “grass-mud horse” — both invented by internet users — are two cases in point. Because of their pronunciations in Chinese, the former is used to indicate censorship and the latter refers to a Chinese obscenity. Internet censorship is a major challenge for the #MeToo campaign in China. Internet users have reported numerous instances of posts and chat pages relating to the topic being removed. Around January 19, the primary hashtag of China’s #MeToo campaign — #MeTooInChina — was temporarily blocked. In response to this, Weibo users launched the alternative hashtag #RiceBunnyInChina to continue the campaign. On January 1, Luo Xixi — a Chinese citizen who now resides in Silicon Valley — decided to bring the #MeToo campaign to social media in her home country. She began by publishing a 3,000-word post on Weibo, revealing a secret she had kept to herself for 12 years. While studying for her PhD at Beihang University in Beijing she was harassed by Chen Xiaowu, a renowned professor and Luo’s former supervisor. Luo’s post received millions of views, and was widely circulated through both state media and social media. The university and education authorities quickly responded to the scandal by sacking Chen Xiaowu. Encouraged by the triumph of Luo’s allegations against Chen, more women from China broke their silence and shared their own accounts of sexual harassment at the hands of university professors. 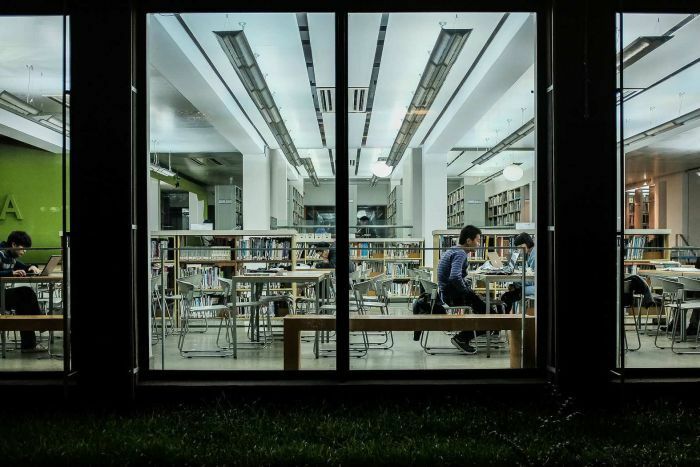 According to a recent report, students and alumni from over 50 colleges have signed online petitions, demanding their schools develop mechanisms to prevent and deal with sexual harassment on campus. In solidarity, professors from over 30 universitiesalso reportedly signed an open letter, calling for educational institutions in China to strengthen regulations and institute a reporting system for sexual harassment claims. It is no coincidence that universities became China’s first battleground in the fight against sexual harassment. The institutional power structure of universities leads to a power imbalance between students and their advisors. That disparity is particularly problematic when the education system is opaque and corrupted. From primary school through to university in China, gift giving and bribery are common practice among students and parents to secure opportunities. This culture is ripe for abuse. As several victims of university sexual harassment have revealed, predatory teachers often used coursework scores, scholarships, and even the outcome of degrees to lure or blackmail students. But mistreatment is not unique to male professors and female students. In late December, a male PhD student Yang Baode was found drowned in a river in Xi’an. His girlfriend later published an open letter on social media claiming that Yang committed suicide after years of abuse from a female supervisor. According to her statement, and the results of the university’s own investigations, during Yang’s PhD study he was forced to become a servant to his supervisor, watering her plants, going shopping with her and picking her up from parking lots. Calls for anti-harassment mechanisms in educational institutions have been supported by the Ministry of Education and state media, but this success might not be easy to replicate in other sectors of Chinese society. Unlike its Western counterpart, the #MeToo campaign in China lacks the freedom to turn into a large-scale movement due to inevitable government intervention. For the ruling party, online campaigns that seek to mobilise large swathes of the population are like wildfire that can easily spread out of control. At this stage, those exposed are mostly relatively low-profile figures, such as university professors, but it is not hard to imagine the scandal escalating up to those in positions of power. Popularity is the kiss of death for any civil movement in China. The Chinese government is known for preventing online activity from growing into collective action — especially demonstrations — no matter how politically innocent in nature. In 2015, five women’s right activists were arrested by Chinese authorities for “provoking trouble” for organising protests against sexual harassment on public transport. In 2017, Zhang Leilei, an activist based in Guangzhou city, made similar efforts. Zhang attempted to crowdfund a nationwide anti-sexual harassment advertising campaign. But it was eventually rejected by local officials, and Zhang herself was asked to leave the city. It is naive to expect women in China to follow a Western trajectory to achieve gender equality. But as the #RiceBunny hashtag on social media shows, even under political pressure activists continue to use their creativity to circumvent the system. So long as these fighters do not cease “provoking trouble”, we can feel optimistic about a safer, more equal future for women in China.